The last place you should have to worry about being hacked is laid out in a hospital bed. But as wireless devices continue to fill patient rooms, those fears can’t help but grow. Last week, the Department of Homeland Security (DHS) issued an advisory warning about a vulnerability unearthed in one such wireless device. Security researcher Scott Gayou identified eight vulnerabilities in a syringe infusion pump—a machine used to administer to patients precision doses of medication intravenously. The device in which Gayou discovered the security flaw is called the Medfusion 4000 infusion pump and it’s manufactured by Smiths Medical, a division of the British multinational Smiths Group. The pump is indicated for use in administering drugs, blood and lipid products, antibiotics and other therapeutic fluids. In addition to critical care patients, the pump is used to administer anesthesia, and may be used on pediatric and neonatal patients, i.e., newborn babies. The use of machines for measuring and administering intravenous drugs is nothing new and such devices are widely credited with reducing major dosing errors. Pediatric dosing requires, for instance, requires very precise measurements to prevent adverse reactions, and dosing errors in the case of a neonatal patient can be especially fatal. An infusion pump, such as the Medfusion 4000, can replace manual calculations typically done by pharmacy technicians, whose math may be verified by a skilled pharmacist, but are often left unsupervised while actually drawing up syringes and IV bags before they arrive at a patient’s bedside. 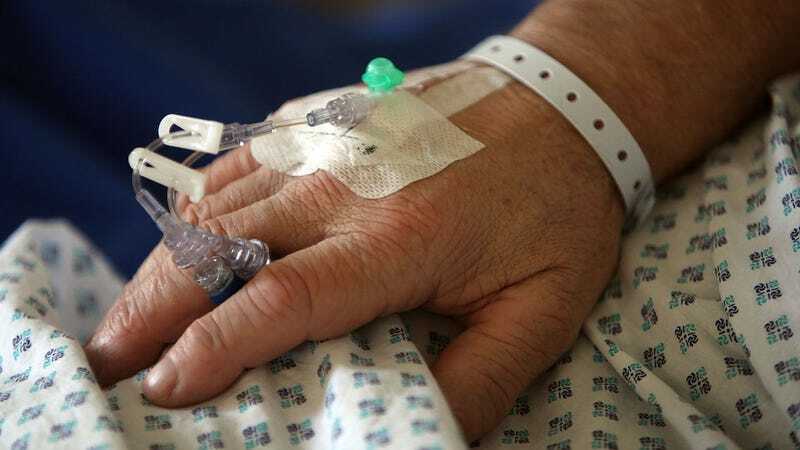 Connecting infusion pumps wirelessly to a hospital network, even to a local server that isn’t connected to the internet, poses certain inherent risks. While the benefit to patients may greatly outweighs those risks, there is no technology—save perhaps that which is used for military applications—which demands greater scrutiny and vigilance on the part of security professionals.